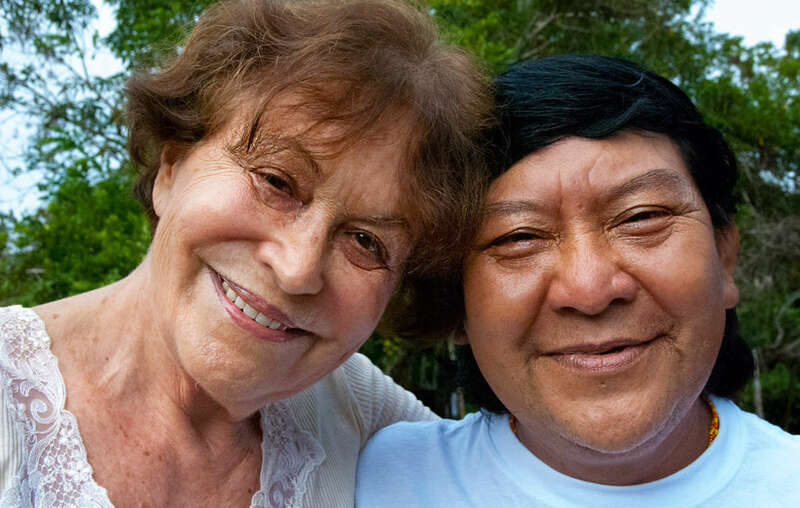 Claudia Andujar, photographer and activist, with Davi Kopenawa, a shaman and key spokesperson for the Yanomami, 2010. A woman who fled Nazi persecution as a child and later spearheaded a campaign to save an Amazon tribe is being awarded Germany’s top cultural honor, the Goethe Medal. Claudia Andujar will receive the prestigious award at a ceremony in Weimar on August 28th. Previous winners include the musician Daniel Barenboim, the novelist John le Carré, and the architect Daniel Libeskind. Claudia is being honored for her groundbreaking work with the Yanomami tribe, which led to the establishment of the largest forested area under indigenous control anywhere in the world. Experts say the Yanomami people would not have survived without Claudia’s activism. Survival International projected the campaign globally. 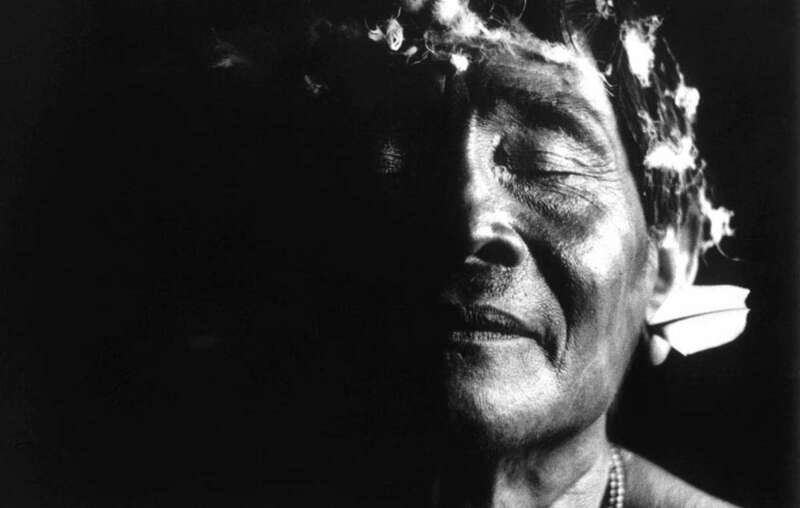 A Yanomami shaman, one of the many thousands of photographs of the Yanomami that Claudia has taken during her lifetimes work with the tribe. Stephen Corry, Director of Survival International, the global movement for tribal peoples, will introduce Claudia at the award ceremony, recognizing her vital part in the survival of the Yanomami people. Also attending will be the eminent Yanomami shaman, Davi Yanomami, known as “the Dalai Lama of the Rainforest”. Claudia Andujar initially traveled to the Yanomami territory in the 1970s as a photographer, and returned many times to visit, and live with, the tribe. She witnessed bulldozers razing Yanomami villages to build the transcontinental highway, as well as waves of disease brought in by the construction crews, and later illegal gold miners, which decimated the Yanomami population. A map showing the area demarcated as the Yanomami Park in Brazil. It remains to this day the world’s largest area of forest under indigenous control. In 1992, after 14 years of campaigning, Brazil finally recognized the Yanomami territory. However, the tribe continue to face many grave threats as the Brazilian authorities fail to adequately secure the area. The territory remains overrun by illegal goldminers bringing violence and disease, and a measles outbreak is currently threatening the tribe along the Venezuela-Brazil border. For interviews with Claudia Andujar, please contact the Goethe Institute. - Claudia was born in Neuchâtel in Switzerland, and brought up in a town (now called Oradea, then called Nagyvárad) on the Romanian-Hungarian border during the 1930s. - Her town was occupied by the Nazis and her Jewish father was arrested. He died in a concentration camp. - Claudia and her mother fled first to Austria, then Switzerland and finally the USA, where she went on to study humanities at Hunter College, New York. - In 1956 she moved to Brazil, where she began her photography career. - In 1971 she went to photograph the Yanomami people for an article for Realidade magazine. - In 1978 she helped found (and for many years was director of) the Pro-Yanomami Commission (CCPY), which advocated for Yanomami rights. - The striking black and white images she took of the tribe remain famous worldwide, and were instrumental in the campaign leading to the creation of the Yanomami park, in which Claudia played a leading role. - The Yanomami indigenous reserve in northern Brazil is home to over 22,000 Yanomami people. The total Yanomami population, including those in Venezuela, is around 35,000. - They live in large communal houses called yanos or shabonos. They believe strongly in equality among people and do not recognize ‘chiefs’. - The Yanomami way of life is communitarian. No hunter ever eats the meat that he has killed and instead he shares it out among friends and family. In return, he will be given meat by another hunter. - They have a sophisticated relationship with the environment and vast botanical knowledge. In daily life they use about 500 plants for food, medicine, house building and other artefacts. - At least three groups of Yanomami remain uncontacted; they intentionally avoid interaction with mainstream society. 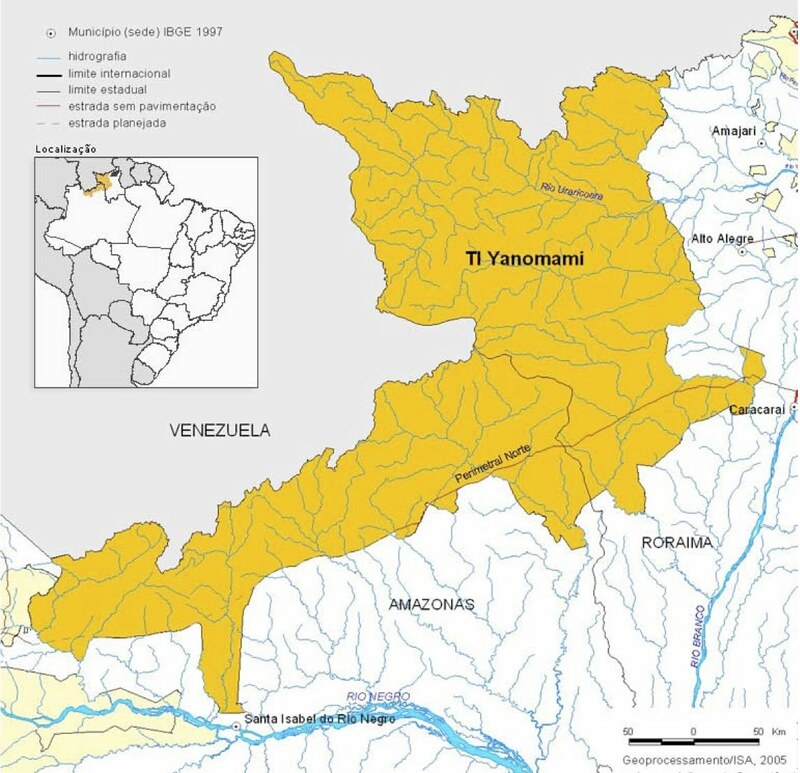 - The Yanomami reserve is monitored by a single FUNAI (Indigenous Affairs Department) ground team which urgently needs government support to protect the tribe, yet is facing severe budget cuts. - Illegal goldminers continue to invade the territory. As well as bringing violence and disease, they expose the tribe to dangerous mercury pollution.